b. 1 Nov. 1782, 2nd s. of Thomas Robinson†, 2nd Bar. Grantham (d. 1786), and Lady Mary Jemima Yorke, da. and coh. of Philip Yorke†, 2nd earl of Hardwicke. educ. Sunbury, Mdx. ; Harrow 1796-9; St. John’s, Camb. 1799; L. Inn 1802; to France 1802. m. 1 Sept. 1814, Lady Sarah Albinia Louisa Hobart, da. and h. of Robert Hobart†, 4th earl of Buckinghamshire, 2s. 1da d.v.p. cr. Visct. Goderich 28 Apr. 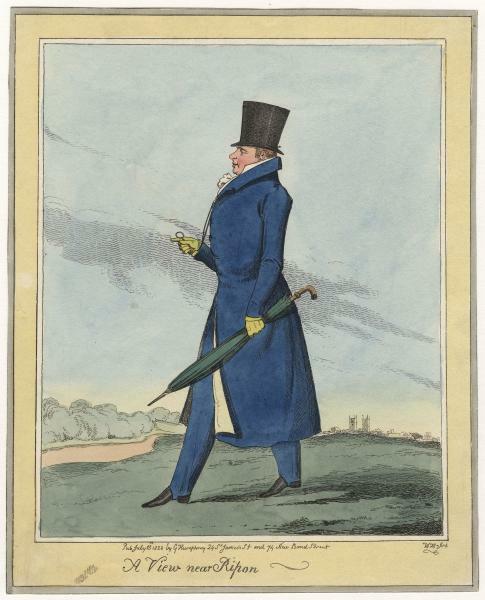 1828; earl of Ripon 13 Apr. 1833. d. 28 Jan. 1859. Private sec. to ld. lt. [I] 1804-6; sec. to embassy, Lord Pembroke’s mission to Vienna 1807; under-sec. of state for war and colonies May-Nov. 1809; ld. 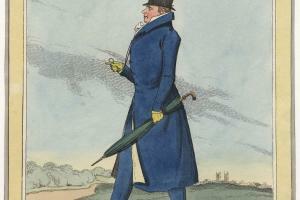 of admiralty July 1810-Oct. 1812; PC 13 Aug. 1812; vice-pres. bd. of trade Sept. 1812-Jan. 1818; ld. of treasury Oct. 1812-Nov. 1813; jt.-paymaster-gen. Nov. 1813-Aug. 1817; sec. to Lord Castlereagh* at Congress of Chatillon 1814; pres. bd. of trade Jan. 1818-Feb. 1823; treas. of navy Feb. 1818-Feb. 1823; chan. of exch. Jan. 1823-Apr. 1827; sec. of state for war and colonies Apr.-Sept. 1827; first ld. of treasury 3 Sept. 1827-26 Jan. 1828; sec. of state for war and colonies Nov. 1830-Apr. 1833; ld. privy seal Apr. 1833-June 1834; pres. bd. of trade Sept. 1841-June 1843; pres. bd. of control May 1843-July 1846. Capt. N. regt. W. Riding yeomanry 1803, maj. 1814-17.
he is not without ambition, and I know (though not immediately from himself) that he has had the feeling of being superseded, which this offer, whatever may be its result, must of course remove. But I do not think the exchequer is the object he aims at, for I have occasionally talked with him in a loose way on the subject, and he has always expressed a great dread of the labour and confinement of the situation. Robinson admitted the force of Hume’s complaint about demands for arrears of legacy duty, 11 Feb., endorsed (after a change of mind) repeal of the usury laws, 16 Feb., and defended the Bank and its relations with government, 19 Feb. 1824. Opposing a call for information on Irish Catholic office-holders 19 Feb., he said ‘there was no disposition to exclude’ them on religious grounds. In his budget statement, 23 Feb., he explained that the £2,200,000 windfall from part repayment of the Austrian loan had created a healthy surplus, which he proposed to augment by redeeming the four per cent annuities at three and a half and by removing bounties from whale fishing and Irish linen exports. He offered no direct tax cuts, but outlined planned reductions of the duties on rum, coal, foreign wool and raw silk. He proposed substantial grants for the building of new churches, the repair and refurbishment of Windsor Castle and the establishment of a National Gallery. His speech, with its stirring description of a country blessed with ‘comfort and content, prosperity and order, going hand in hand, and dispensing from the sacred portals of an ancient and constitutional monarchy, all their inestimable blessings’, was enthusiastically cheered. Robert Wilmot Horton*, the colonial under-secretary, reflected that Robinson deserved his popularity, ‘for he has no hum about him’.28 Robinson’s references to the Austrian loan repayment, which he explained to a captious Hume, 25, 26 Feb., as a ‘Godsend’, and to the emperor as a ‘despotic sovereign’, annoyed Wellington and sparked a minor diplomatic row.29 He explained the grant for public building works, 1 Mar. Next day he successfully resisted opposition demands for repeal of the window tax and sale of the land tax. Fremantle reported that ‘nothing could have been more favourable to him’ than this debate, when his critics squabbled and ‘the open and manly manner in which he again explained his objects, had the effect of rendering any other speech from the government quite unnecessary’.30 He defended his proposals for the silk duties, 5, 18 Mar., when he declined to accept praise from opposition at Vansittart’s expense; but in response to petitions he eventually agreed to defer the tariff reductions to 1826. He also compromised on repeal of the wool duties and linen bounties.31 He carried the rest of his budget proposals, both remissions and grants, in the shape in which he had announced them. He failed to prevent the House voting to set up an inquiry into the cost of the new Westminster law courts, to which he was named, 23 Mar. He opposed calls for immediate repeal of the coal duties, 29 Mar., and revision of the legacy duties, 1 Apr. He again resisted inquiry into redemption of the land tax, 6 Apr., and a proposal to advance £1,000,000 to Ireland, 4 May, arguing that the removal of taxes and opening of trade would bring more permanent relief. He introduced resolutions for the regulation of savings banks, 7 May. He refused to countenance repeal of the remaining assessed taxes, 10, 13 May, and secured the defeat by 71-55 of a motion for repeal of the leather tax, 18 May, when he boasted that since he became chancellor he had implemented reductions to the tune of £4,500,000. He defended his beer duties bill against the attacks of monopolist brewers’ spokesmen, 24 May, and explained the marine insurance bill, 28 May 1824. Robinson was now seen by some inside observers on the pro-Catholic side as a possible premier in the event of Liverpool’s retirement, though his natural ally Canning was perceived to have superior credentials. The duke of Buckingham told Lord Wellesley, the Irish viceroy, that he was ‘the most popular of the ministers but holds aloof from all parties’. The anti-Catholic Peel was reckoned to be jealous of him, and Wellington continued to think him ‘beyond his place in public opinion’ and, according to an indiscretion by Arbuthnot, ‘even asserted he was "a shallow fellow"’. Yet in September 1824 Canning complained to a friend that during the recent cabinet dispute over what line to take on the Catholic question, Robinson ‘had shown no fight ... but had lost with both sides from indecision’. Wellington was now reckoned to be courting him.32 In the House, 14 Feb. 1825, Robinson supported the bill to suppress the Catholic Association, ‘the bane and curse’ of Ireland. He duly voted to consider Catholic claims, 1 Mar., when he was excused for defaulting on a call of the House the previous day, and for the second reading of the relief bill, 21 Apr. In cabinet, where he continued to try to keep the peace, he put the case for introducing, without the king’s consent, a bill to authorize payment of the Irish catholic clergy, but Liverpool put a stop to this, pointing out that it could lead to his impeachment.33 Robinson voted silently for the third reading of the relief bill, 10 May, but, opposing a motion on the state of Ireland, 26 May, he sought to justify the question being kept an open one in cabinet. All its sources of wealth, all the springs of its action, notwithstanding this superficial pressure, were in their pristine vigour. Although the leaves and branches of the tree had been shattered, its roots were firmly fixed, and they would shoot forth again with fresh beauty. Hume and Maberly (who are our great financial questioners) will be disposed to hold their tongues when they find they cannot get answers; and I am quite satisfied that under the present circumstances of our money concerns, the less that is said about them the better. We could say nothing positive and nothing very satisfactory. In short it seems clearly to be the policy of the government to say and do as little as possible before Christmas. He turned out to be a ‘wretched’ performer in the Lords, but far worse was to follow.59 On Canning’s death in August he accepted the king’s commission to form a government. It lurched from crisis to crisis as ‘Goody’ Goderich, ‘firm as a bullrush’, plagued by his wife and little comforted by the safe birth of a son in October, presided with ‘utter imbecility’, in ‘a kind of fool’s paradise, convinced his conduct was perfect’. His feeble nerve gave way and he resigned in January 1828 after 146 days as premier, the weakest in British history and the only one never to meet Parliament.60 Astonishingly, after almost three years in the political wilderness Goderich, despite this humiliation, was invited to join the Grey ministry as colonial secretary, which he did, conveniently setting aside his previous hostility to parliamentary reform. He was sidelined as lord privy seal and fobbed off with an earldom in 1833, and resigned the following year with Stanley and Graham over Irish church appropriation. He moved with them to Peel’s Conservative party, formally joining it in 1836. Peel made him president of the board of trade (where William Gladstone†, the vice-president, soon formed a low estimate of his knowledge and competence) and in 1843 put him at the board of control, from which he resigned with Peel on his defeat in 1846. The last 20 years of his stressful life were marred by intermittent bouts of illness, and he died at Putney of pulmonary complications following influenza in January 1859.61 His widow lived until 1867. He was succeeded in the earldom and the Lincolnshire estates which had come to him through his marriage by his only son, George Frederick Samuel (1827-1909), who had a distinguished political career and was made marquess of Ripon in 1871. The only current biography is W.D. Jones, ‘Prosperity’ Robinson (1967), a dull and uncritical assessment. 1. Add. 38743, f. 279. 2. Countess Granville Letters, i. 421. 3. Jones, 6-7, 49-52, 64-67; B. Hilton, Corn, Cash, Commerce, 173, 182-3. 4. Buckingham, Mems. Geo. IV, i. 21. 5. Dorset RO D/BKL, Bankes jnl. 117. 6. Ibid. 118 (31 May 1820); J.E. Cookson, Lord Liverpool’s Administration, 222; Hilton, 102-3. 7. Croker Pprs. i. 184. 8. Geo. IV Letters, ii. 894-6; Castle Howard mss, Howard to Lady Morpeth [28 Jan. 1821]; Colchester Diary, iii. 201. 9. HLRO, Hist. Coll. 379, Grey Bennet diary, 93. 10. Hatherton diary, 20 Nov. .
11. HMC Bathurst, 517-18, 524-5; Jones, 83-87. 13. Add. 52445, f. 90. 14. Add. 40319, f. 57; Croker Pprs. i. 230. 15. Buckingham, i. 365; Hobhouse Diary, 95; Arbuthnot Corresp. ; Castle Howard mss, Abercromby to Morpeth, 1 Sept. 1822; Add. 31232, f. 297. 16. Add. 38743, ff. 192, 217; 38193, f. 171; Arbuthnot Jnl. i. 194; HMC Bathurst, 537; Harrowby mss XIV, f. 123; Cookson, 382; Hilton, 166-9; Jones, 92-93. 17. Add. 31232, ff. 297, 299; 38193, f. 171; 38291, ff. 211, 216, 223, 225, 233, 241, 335; 40862, f. 83; 45063, f. 183; Hobhouse Dairy, 101; Arbuthnot Jnl. i. 199-200; Jones, 93-94; Hilton, 169. 18. HMC Bathurst, 538; Buckingham, i. 411, 417. 19. Northants. RO, Agar Ellis diary, 12 Jan. ; Colchester Diary, iii. 273. 20. Add. 38291, f. 241; Colchester Diary, iii. 270. 21. Norf. RO, Blickling Hall mss, Londonderry to Lady Londonderry, 29 Dec. 1822, Hardinge to Londonderry, 24 Jan. 1823. 22. Hants RO, Malmesbury mss 9M73/G2543/3. 24. Jones, 98-101; Hobhouse Diary, 103. 25. Gurney diary, 18 June 1823. 26. Buckingham, i. 475; Bucks. RO, Fremantle mss D/FR/46/11/84; Hobhouse Diary, 103. 28. Jones, 101-5; TNA 30/29/9/6/2. 29. Arbuthnot Jnl. i. 290-1. 32. Buckingham, ii. 85, 99, 105, 127; Add. 37302, f. 302; Fremantle mss 51/5/22. 33. Lonsdale mss, Long to Lonsdale, 23 Mar. ; Arbuthnot Jnl. i. 392; Hobhouse Diary, 115, 116; Wellington Despatches, ii. 564; Jones, 112-13. 34. Add. 51534, Grenville to Holland, 24 July 1825. 35. Croker Pprs. i. 282; Harewood mss, Canning to Robinson and reply, 2 Dec.; Add. 36461, f. 317; 51749, Holland to H.E. Fox 30 Dec. 1825, 18 Jan. .
38. Hilton, 215-18; Jones, 114-17. 39. Agar Ellis diary, 2 Feb. .
40. B. Gordon, Economic Doctrine and Tory Liberalism, 48-49; Nottingham Univ. Lib. Denison diary, 9 Feb. 1826. 41. Agar Ellis diary, 10 Feb.; Keele Univ. Lib. Sneyd mss SC8/79; TNA 30/29/9/5/38; Gurney diary, 10 Feb. ; Greville Mems. i. 156. 42. Greville Mems. i. 156-8. 43. Denison diary, 23 Feb. 1826. 44. Add. 51584, Tierney to Holland, 24 Feb. 1826. 45. Agar Ellis diary, 13 Mar. .
46. Add. 51659, Whishaw to Lady Holland, 14 May; Denison diary, 19 May . 47. Add. 38301, f. 261; 38568, f. 129. 48. Miss Eden’s Letters ed. V. Dickinson, 100-1; Jones, 125-6. 49. Add. 40388, ff. 305, 325; 40389, f. 55; Wellington Despatches, iii. 432-7; Hilton, 282-3. 50. Miss Eden’s Letters, 113-16; Lonsdale mss, Beckett to Lowther, 27 Oct. ; Geo. IV Letters, iii. 1264. 51. Add. 38302, f. 103; 38576, f. 110; 38748, ff. 190, 192, 195; Jones, 129-30. 52. Miss Eden’s Letters, 118-20, 122-4; Jones, 130-1. 53. Add. 38302, f. 113; Arbuthnot Jnl. ii. 66-67, 69; Arbuthnot Corresp. 79; Lady Palmerston Letters, 157; Parker, Peel, i. 476-7; Jones, 131-3. 54. Add. 38749, ff. 1, 5. 55. Croker Pprs. i. 364; Canning’s Ministry, 3, 4, 9, 16, 31; Jones, 136-7. 57. Ibid. 116; Jones, 137-8; Add. 51609, Holland to Adair, 15 Apr. 1827. 58. Parker, i. 476-7; Canning’s Ministry, 125, 126, 142, 153, 176, 208, 240; Hobhouse Diary, 134; Colchester Diary, iii. 486; Jones, 138-42. 59. Creevey Pprs. i. 120. 60. Jones, 142-204; Miss Eden’s Letters, 142, 156-7; Croker Pprs. i. 391, 392, 401; Bagot, Canning and Friends, ii. 427-8; Countess Granville Letters, ii. 1; Hilton, 243; Hatherton diary, 10 Feb. .
61. Jones, 237-79; Gent. Mag. (1859), i. 318-20.